Blain: "China Is Juggling Half A Dozen Flaming Hand Grenades While Walking On A High Wire"
Wow: 6.6% Chinese growth? Any occidental economy would rejoice to even achieve half that number. What’s to worry about? Taken at face value, there is nothing particular in China to cause undue concern. The slowdown can be explained in terms of weaker than expected numbers reflecting businesses scaling back to counter any negative trade war events, related knocks to consumer and business confidence, slowing orders for consumer tech (like falling iPhone orders), and are all a natural reflection of the cycle. (I was about to write business cycle - but I’m not sure that’s what it is.) For years the likelihood of China economic collapse of has been one of the most overstated market threats. But the world is changing and evolving. It’s worth considering the whole picture and outlook for China in light of just how different the world functions today. China is a state juggling half a dozen flaming hand grenades while walking on a high wire suspended above a pit of hungry tigers - just like any other government, attempting to deliver peace and prosperity. But, China’s basis is very different to other economies, and it’s now approaching a critical period in its history - the next few years could see China evolve into something very much darker and different. The reality behind 6.6% China growth is an economy now showing signs of deep internalised trouble. The party has to balance a host of factors from last week’s liquidity injection to stall a credit/debt crisis, the consequences of long-term out of control local government spending, environmental degradation, while managing the implicit pact with the population to provide rising living standards, jobs, accommodation and wealth in return for citizens turning a blind eye to repressive government. If that pact between state and citizens fractures, then tanks on Tiananmen square will be the least of China’s worries. China is learning that controlling an economy is a very difficult thing. It sorts of works in the West because political competition ensures the rule of law as a check and balance - if politicians or businesses cheat, they tend to get caught and punished. A lack of political completion breeds corruption - and that remains the key reason why Socialist/Communist economies have failed to deliver socialist paradises and become kleptocracies instead. It’s basic human nature. The current “slowdown” in China reflects the difficulties in managing a state controlled economy. Give them credit. China’s state economy has lasted longer and been stronger than other Soviet economies because it successfully mixed an element of private enterprise into the system. Interestingly, the fledgling USSR tried to do something similar in the early post-Civil War 1920s when Lenin’s New Economic Policy was launched to stimulate private enterprise, especially in agriculture. But it was swiftly reversed by Stalin who mounted pogroms against the rich “Kulack” peasants, and purges across the party to strengthen his own position at the cost of plunging the state into famine and a stagnation some economists believe still influences Russian business today. Chinese premier Xi knows how difficult keeping China in balance will be. He’s very aware that it might be a very small move in expectations and delivery that pushes the State/Citizen balance over the tipping point - which is why his short term goal will be to avoid a damaging trade war with the US that could trigger domestic strife. Xi’s primary objective will be accommodation with the US to avoid further economic sentiment shifts - expect China to settle with Trump. They don’t want to “lose face” - but they will basically accept all the US demands in manner that looks like a fairly negotiated settlement. Place your bet’s accordingly. However, its more complex than just trade agreements. 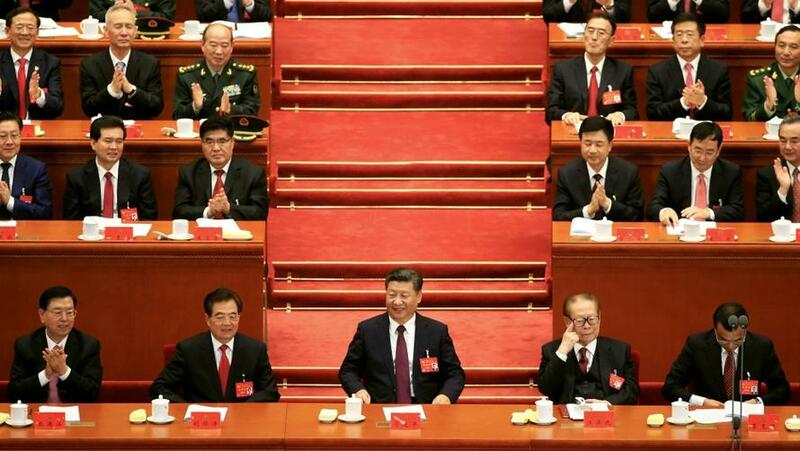 In the medium Term Xi is fighting a desperate battle to secure and enhance his position and reign back the communist party’s excesses - to fight corruption in the only way he believes China will understand: by being a strong dictator. He is not as secure as many in the West believe. Hence the recent moves towards a “cult of Xi” reviving memories of the Maoist era. It looks to the West that he is in control of the state, but experienced China hands tell me his control of the state is far less secure that any previous Chinese leader - there is a serious likelihood that any breakdown in the implicit state-citizen pact will be met with extreme violence, and Xi will be the fall-guy. If this sounds far-fetched and too dystopian. then feel free to ignore my ramblings. But, what if I’m right? Huawei might be the tip of the real iceberg: China’s Tech vision versus the West.